The tournament consisted of 6 Swiss rounds followed by a Top 8 cut. Top 8 split the $1000 prize pool to receive $125 each. All player notes are sourced from HeyFonte. "[Lillie is] a 9th draw supporter. I never actually used it, but I tested this deck pretty extensively with 8 draw supporters and whiffed too often. Lillie is just the best of your less than optimal options. Usually, you just aim to use it when it's convenient, though that could certainly be turn 1 if your hand has enough basics without using Brigette." "I really like the idea of Kartana GX in the deck. You'd have to drop 4 Psychic for 4 Rainbow, but it brings quite a few options to the deck. I'm not completely sure what you'd drop, though. Unfortunately, Kartana wasn't legal for this event, so I wasn't able to try it." "All three of Espeon GX's attacks are powerful in different situations. It's probably the most versatile card in the deck, useful in a ton of matchups. I'm not a huge fan of Shining Mew in here because your 1-energy attacks are all pretty strong. In addition to that, 1 prize can make a pretty big difference, and dropping that by using Mew early on can be a notable disadvantage. 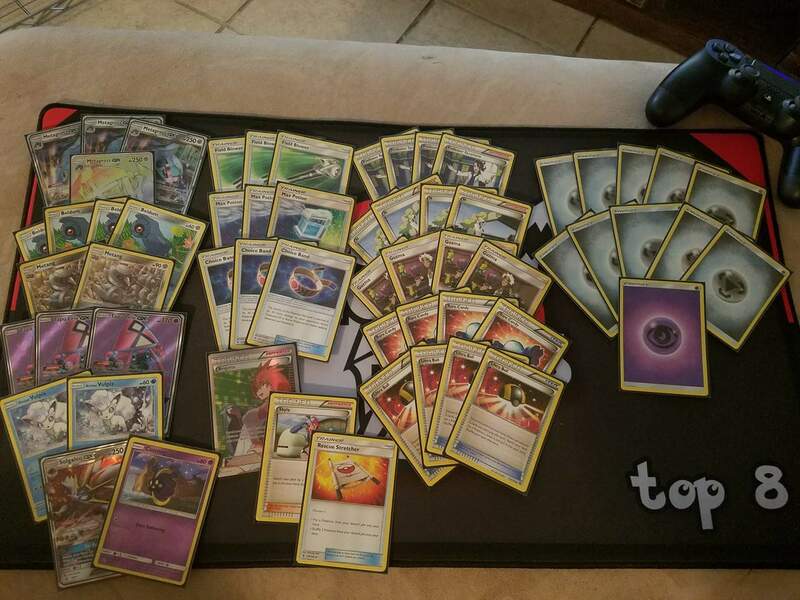 Shining Jirachi might be better than Espeon EX in here, but it was testing really poorly for me so I never pulled the trigger. Definitely something to continue trying." "Marshadow is just Ability based draw. Gives more options for draw. So if you whiff off a supporter you can Let Loose." "1 Max Elixir was great. Being able to pull ahead an attachment can be huge for this deck. It can be he [sic] difference between using Righteous Edge or using Beserk for a OHKO"
"The energy is there because you want to Sol Burst GX early to fill your Pokemon with energy and get them out there for Geotech fodder later. 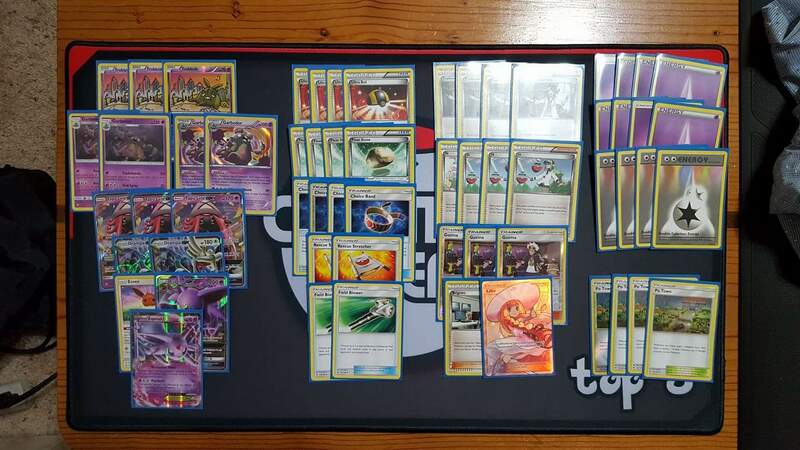 But, after attaching an energy for Sol Burst and spending 5 from the deck, you'd only be left with 5 more energies in deck to attach from hand, which makes an impact if your limited on your Metagross on board or need all of your Geotechs, but to retreat a Pokemon, etc. Truthfully, I've played 11 energy in this deck for a while and have had way more times where I wish I had an energy and didn't as opposed to feeling like I have too many. This energy count has been working great for me, personally. " "The 2 Metang was mainly just from being crunched for room. The only time I'm missing a 3rd Metang is when I'm getting Espeon EX'd, but after testing against that deck/card as much as I have, I feel confident in managing the damage between Po-Town, a potential Divide GX, and keeping in mind every turn the possibility of them placing it on the bench and sending it out to Miraculous Shine. I play a lot different against that deck than most others, so I haven't (so far) felt a need for the 3rd Metang. At least, not over the other cards in the deck." 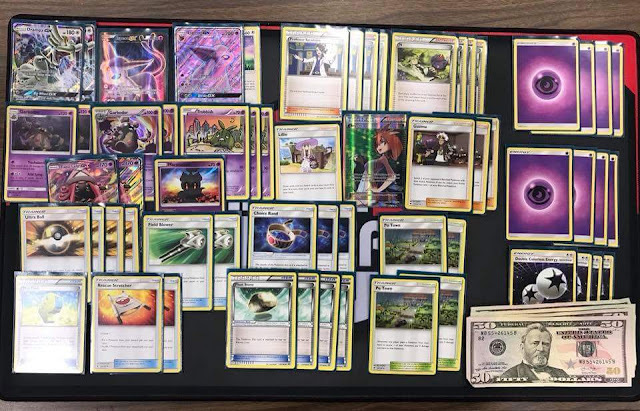 Despite being the clear BDIF for the previous three months, Gardevoir-GX was completely absent from top cut.